Where in the World is Waldameer? 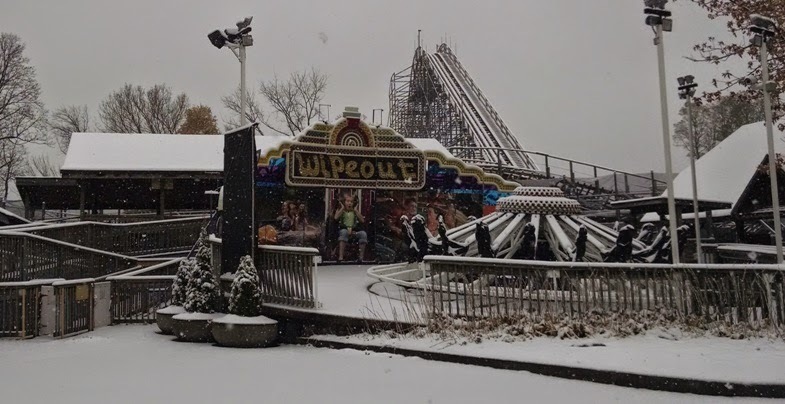 As the snow began to fly, a few members of the Waldameer and Water World Team packed their bags and headed South. Where did they find themselves you may ask? 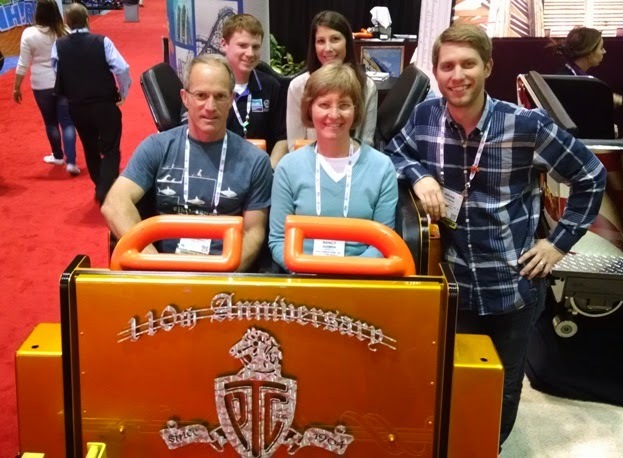 Representatives from Waldameer spent the past week in Orlando, Florida. You might be thinking to yourself, they must be there to play with Mickey Mouse or to journey through the Wizarding World of Harry Potter, but this was all for business. 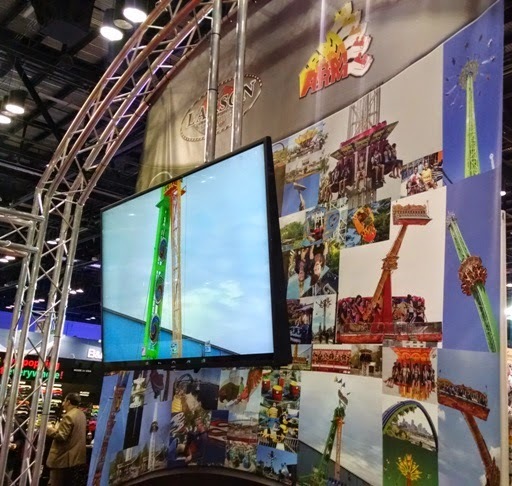 Their mission at hand for Waldameer is the annual conquering of the IAAPA Attractions Expo. 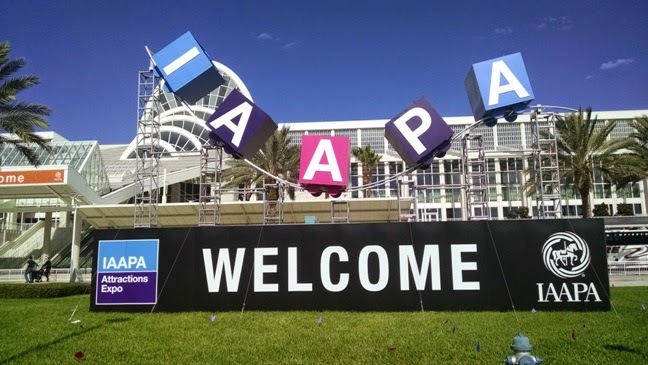 So what's an IAAPA? "IAAPA" stands for the International Association of Amusement Parks and Attractions. IAAPA is the world's largest trade association for amusement facilities. These facilities include amusement parks, water parks, zoos, aquariums, museums, and family entertainment centers. 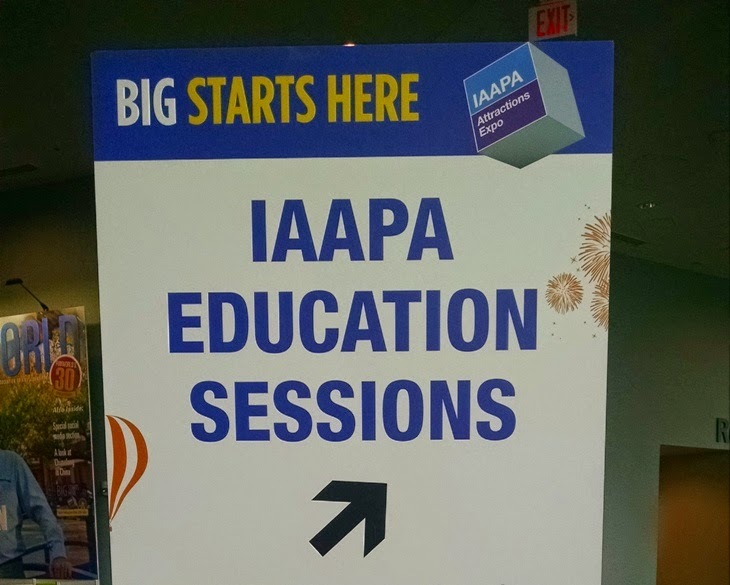 The goals of IAAPA include promoting safe operations, educating industry professionals, facilitating an environment for networking and consultation, and to bring the attractions industry together through conferences and trade shows. The annual IAAPA Attractions Expo in Orlando is one of the world's largest trade shows attended by over 30,000 industry professionals. The expo features education sessions, off-site facility tours, and a trade show floor that requires over 9 miles of walking to visit each booth. Before the trade show floor opened on Tuesday, Waldameer representatives went to school attending several education sessions. Topics included safety, guest service, leadership, and marketing among many others. Each session featured speakers representing other amusement parks as well as experts from consulting groups and other related fields who all work to share their knowledge and offer insight on how to make amusement facilities even more successful than they are now. After a long Monday of education sessions, the real fun was about to begin. With over 500,000 square feet of booths and over 9 miles of walking to see each one of them, there is no time for doddling on the Trade Show Floor (except for the occasional pit stop for free Dippin Dots). 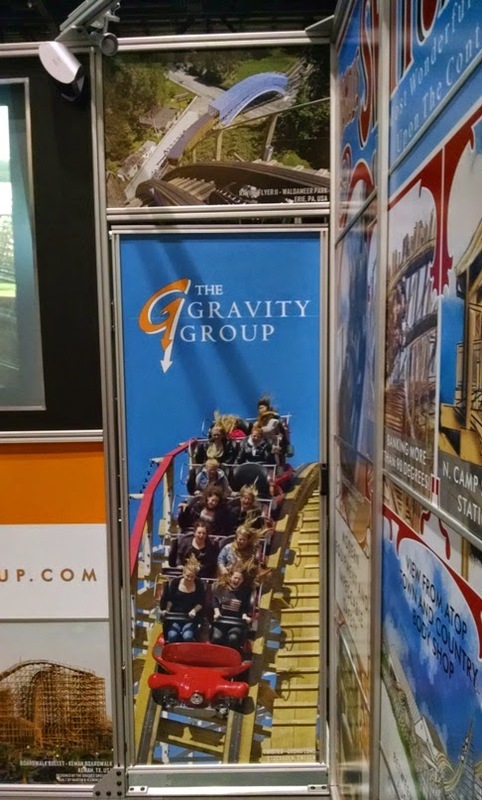 Exhibits found on the floor include ride and water slide manufacturers, food and beverage suppliers, midway games suppliers, merchandise producers, and industry consulting groups. Many of tomorrow's latest and greatest attractions start through meeting companies at IAAPA. You will even find Waldameer's attractions represented at several booths. The latest and greatest starts with ProSlide who is working closely with Waldameer to create several new Water World attractions for the coming years. 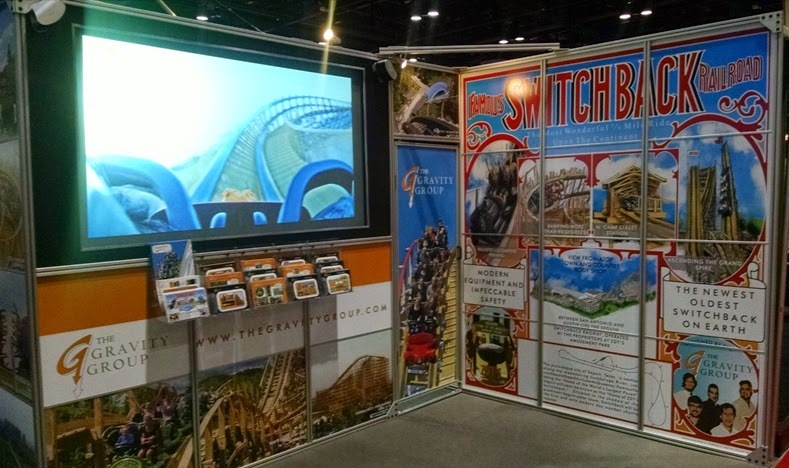 Gravity Group unveiled the first of it's kind, "Switchback" wooden coaster. And what is that we see at the top? 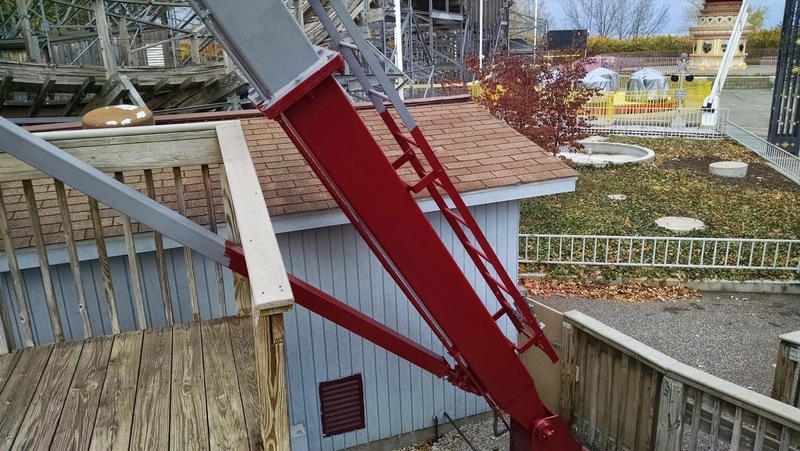 Ravine Flyer II continues to be a showcased attraction by it's designer, Gravity Group. Speaking of showcasing, A.R.M. features XScream at their booth. The Waldameer Team takes a photo at Philadelphia Toboggan Coasters exhibit. 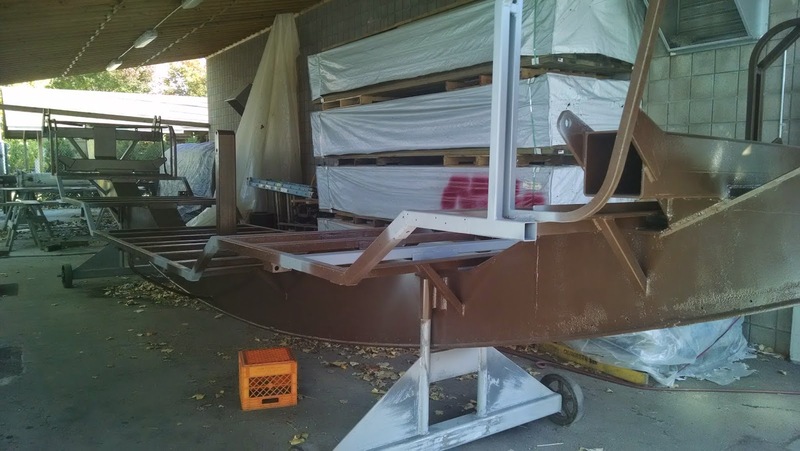 PTC supplies parts for our Comet and Ravine Flyer II coaster trains. These are only just a few of the over 1,000 booths representing companies around the globe at the IAAPA Attractions Expo. From education sessions to interacting with vendors, Waldameer and Water World comes home with even more insight, knowledge, and new attraction ideas in order to keep the park growing and successful for generations to come. To many, Waldameer and Water World is long asleep for the Fall and Winter. To the year-round Waldameer and Water World Team Members, the park is as busy as ever. The Wave Pool hole expands each time we pass by, the new Ticket Booths by the Arcade have broken ground, and some of our rides are undergoing some significant cosmetic and functional improvements. 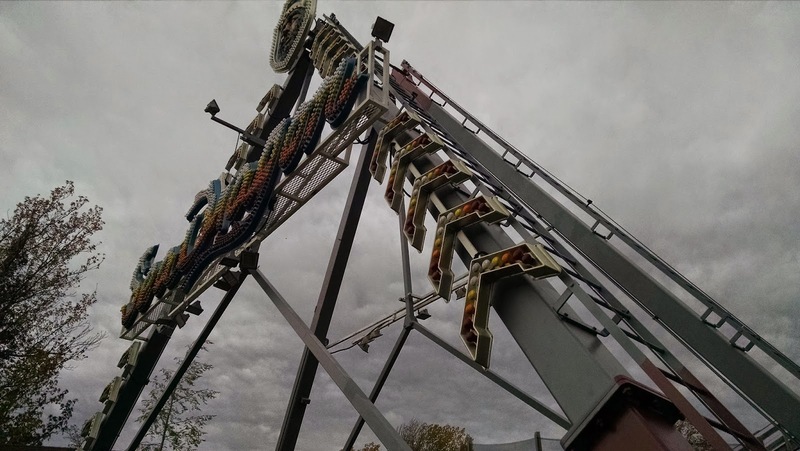 Let's take a Fall walk in the park to see which of our favorite family and thrill rides are being refreshed for the 2015 Season. Sea Dragon has been in dry docked for the winter as Captain Tim and his Shipmates are overhauling the venerable viking ship. From the keel to the mast, nothing is going untouched. Once we complete our painting and refurbishment of the ship itself, look out for a new operator booth and enhancements to the exit ramp to increase efficiency and safety. 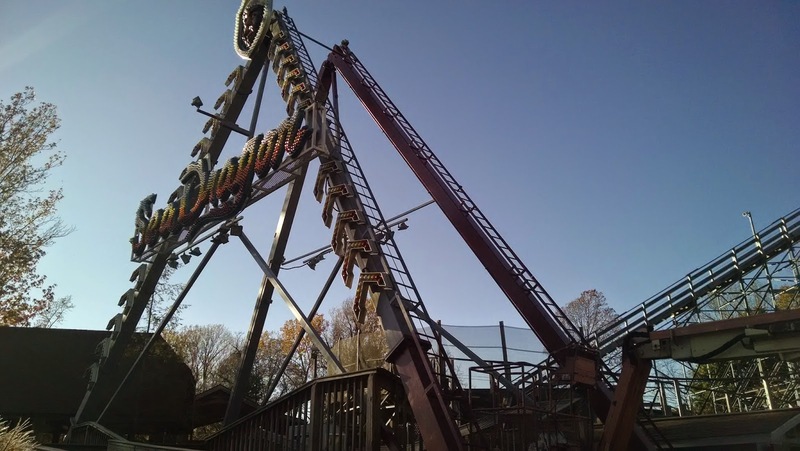 Before you know it, Sea Dragon will be ship shape for another 22 years of swinging through turbulent waves. Watch where you step, there is a lot of wet paint! Smudge the paint, you may have to walk the plank! We are keeping our fingers crossed that the snow holds off for just a little while longer as it's no quick task to cover all 60 feet in fresh paint. No worries, this boring gray is just the primer. As we speak Sea Dragon's support structure is carefully being refreshed with a bold dark red color. A closer look at the dark red paint being applied. Over in the shop, the ship is stripped down to it's bare bones. 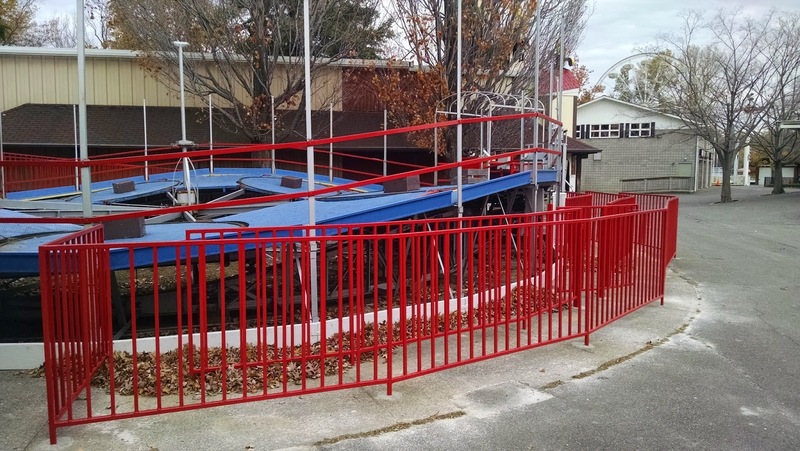 Once inspection and repainting are complete, the refurbished outer shell will be re-installed. Tilt-A-Whirl is undergoing several changes to significantly improve accessibility and convenience. 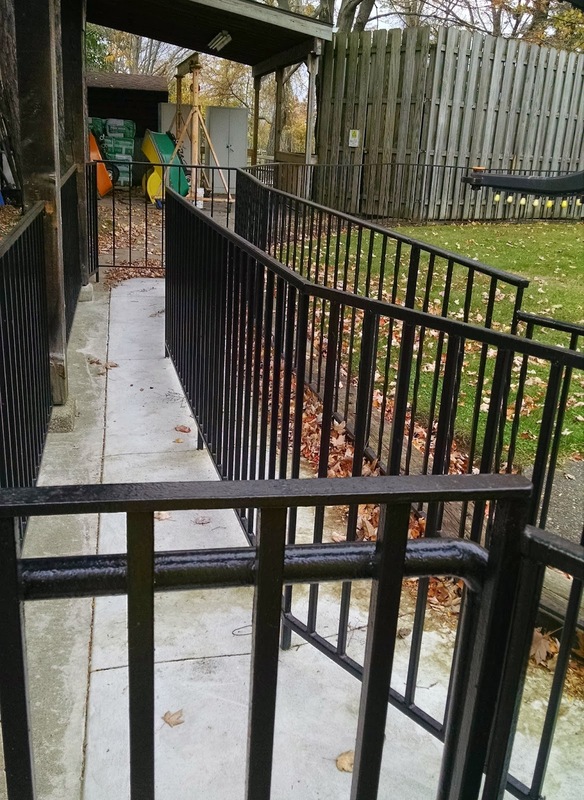 Most excitingly, a new ADA compliant exit ramp has been installed for the convenience of guests by eliminating those treacherous stairs. To direct traffic more efficiently, a new queue area has been installed to accommodate more guests in a more organized fashion on those busy weekends. Now that is a much smoother transition from Tilt-A-Whirl back to the midway. The queue area is looking fresh with a beautiful red paint job. Speaking of fresh paint and organized queue areas, Spider and Merry-Go-Round are both undergoing or have underwent some functional improvements. For example, we have doubled the queue capacity of Spider to alleviate the congested midway on busy days. No more confusion or overcrowding on those busy days anymore! 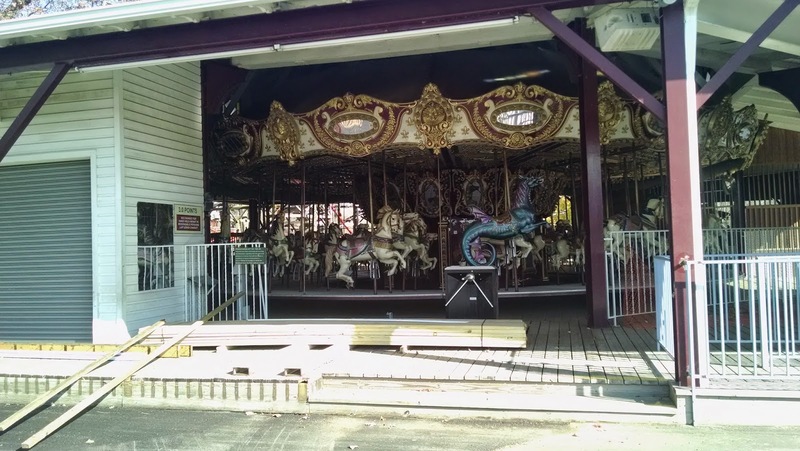 Last, but certainly not least, Merry-Go-Round will have a new queue area and exit ramp installed to make way for a delicious addition to Waldameer's concession selection. What kind of addition you may ask? The answer to that question will have to wait for another time. 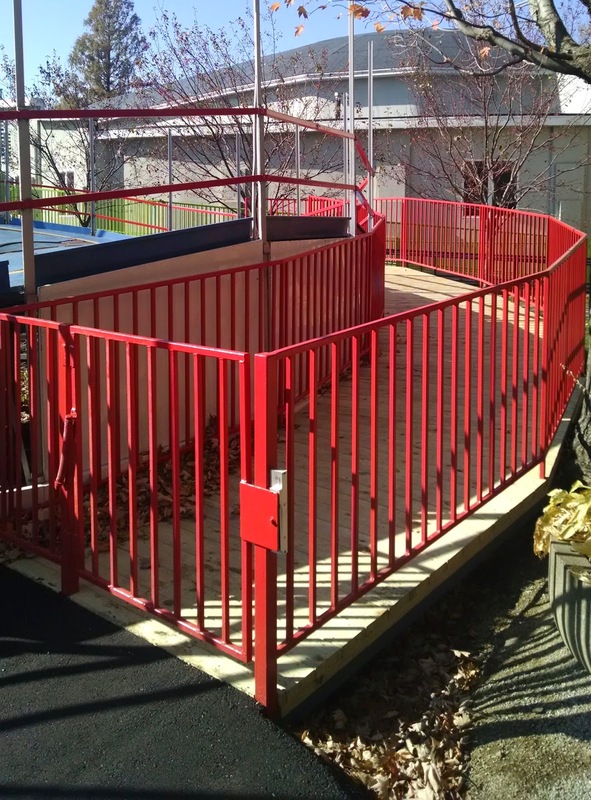 Everyone will still board from the main midway, but Merry-Go-Rounds's exit will now conveniently share a wheelchair accessible ramp near Comet's exit. No doubt about it, Waldameer and Water World is as "busy" as ever as we dive into November. As always, we are committed to improving and enhancing the park to meet the continuously evolving needs of our loyal guests. PS: Pack your bags and warm weather attire, we are going on a road trip for our next WaldaBlog adventure!